Dual purpose. Combines hot, cold and filtered drinking water in a single kitchen mono mixer. 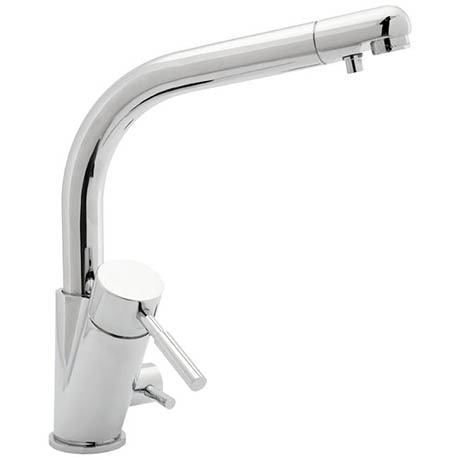 Features two separate outlets to prevent cross contamination of filtered water. Drinking water outlet is filtered by a Deva water filter (FILTER 001). Replacement filter needed every 6 months.